Author, investor, and podcaster Tim Ferriss delivers with his latest book, “Tribe of Mentors: Short Life Advice From the Best in the World,” a timely encyclopedia of life advice curated from a variety of successful individuals from different walks of life. The result is a very giftable resource that hits shelves just in time for holiday exchanges and for formulating those New Year’s resolutions. What purchase of $100 or less has most positively impacted your life in the last six months (or in recent memory)? My readers love specifics like brand and model, where you found it, etc. The answers are a veritable mix of actionable advice, philosophical wisdom, and abundant wit. 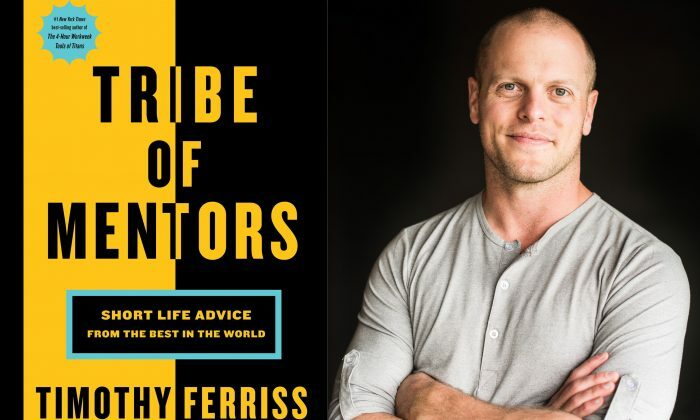 Ferriss’s “mentors” include Jimmy Fallon, Arianna Huffington, Ashton Kutcher, Greg Norman, Tony Hawk, Larry King, and Tim McGraw, among many others. Investors, sports stars, authors, comedians, scientists, musicians, entrepreneurs, journalists, and more offer their takes on Ferriss’s queries, leaving something for everyone. Jimmy Fallon names “The Monster at the End of This Book” by Jon Stone as a book he frequently gifts (since, he explains, he attends more kids’ parties these days). In addition to the advice itself, the list of over 130 mentors is a resource in itself. If you don’t know who some of these individuals are, their social media handles are provided, in most cases. Easily digestible in bite-sized portions, “Tribe of Mentors” is the perfect gift for college students, self-help junkies, entrepreneurs, and dreamers who are striving for something more. Does it Pay to ‘Buy Local’?